Our time in the Azores has come to an end for another year, so it is time to reflect on the past month. I know I have said this before, but expeditions offer many things, including difference, difficulty, diversity, discovery and of course data. We all come with varying expectations and often leave with different realisations and experiences. Let’s face it, if we got what we expected, it wouldn’t be an expedition! This year we have been challenged on many fronts and had several achievements, but before we review the details, let me initially offer some thanks. Firstly to the back office staff at Biosphere Expeditions. There is always a lot of unseen work and preparation for any expedition. Secondly, thanks to Jim (Claudia and Tiago) at Banana Manor, who have been our hosts for the past few weeks – giving us all a second home. I also extend our collective gratitude to Eugenio (and his team at Casa de Cha), and Carey and Pete, who (amongst others) have catered for our variety of dietary needs. I must also not forget our skipper Jairo; who not only took us out to sea, but also ensured we knew the sea state, wind direction, cetacean locations and always got us back to port safely – thanks Jairo. And of course, our enormous collective thanks go to Lisa, our leader in all things scientific. It is always a privilege to share in your world and work with such a passionate field biologist and cetacean scientist. But my final thanks go to our citizen scientists, who stepped up to the daily challenge of data collection to achieve our collective goals of better understanding the ecology of the cetaceans and turtles of the Azores. Your contribution, attitude and application, sometimes in the face of adversity, and across all aspects of the expedition, has been outstanding. It has been a pleasure to meet and work with you all. Our data haul this year has been different to others, and would be easy to focus on the fact that sometimes whales have been hard to find – but that is not the only focus of the project. The seeming lack of cetaceans on some days, or the sea states may have challenged us on occasion, but overall we’ve been able to amass a diverse range of data and information, that without Biosphere Expeditions, wouldn’t have been collected. Of course there is also the data entry, image processing and sorting, and not to mention matching work that has been completed so far. All helps to better understand the puzzle of cetacean patterns in the Azores. Data on absence is as important as that on presence. To truly understand cetaceans movements, their ecological needs, and distributions we need to study them over appropriate scales of space and time. Field research rarely gives us instant results or fast answers to our bigger questions, but even the encounter rates from this year underscore the value of long-term research – this project has been running for fifteen years. The results from this year’s work will soon become clearer in the expedition report (due out later this year). So what of the success I mentioned? Success isn’t just dictated by data, and to my mind successful expeditions are defined by experience – that which we bring to it, and that which we gain from it. Personal success is perhaps is influenced by the people you meet, the new experiences you have, the challenges you overcome, or the wildlife you see. 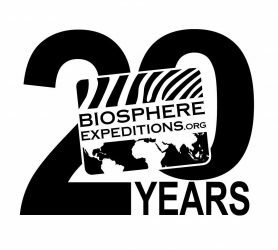 This year we have had a fantastic blend of past Biosphereans, past Azores expedition team members, and a healthy dose of first-timers. The teams and the teamwork have been a personal highlight. You’ve all played your part in the success of this year. Your own judgement of success is perhaps most dependent on your own expectations. We all come on expeditions for different reasons and with different expectations. No matter whether you are a citize scientist, scientist or expedition leader, we all start an expedition with a varying mix of nerves, hope and expectation. We hopefully leave with new experiences, having explored, been enthused, educated, entertained and maybe even enlightened! If you are truly fortunate, like the cetaceans, you get to return. A sterling effort by group 1 over the past few days. We’ve covered in excess 250 km of surveys over the past three days, and again in some challenging seas. Safe to say everyone now has their ‘sea legs’. We have also been involved in a mini collaboration with the local university, assisting them with a search for a D-Tag. This non-invasive tag (attached by a suction cup to sperm whales) can record the sounds heard, and made, by the tagged whale together with its depth and orientation (i.e. pitch, roll and heading), in a synchronised fashion throughout the dive cycle. The tag records data digitally for around 24 hours, depending on sampling rate. When if floats to the surface it gives out a radio ‘ping’, so it can be radio-tracked, once a rough position has been triangulated from land. Well, the theory is simple! We were able to help in the search whilst conducting our own ‘normal’ surveys. Rui Prieto joined us from the local university (Dept of Oceanography & Fisheries) with his telemetry kit and all we had to do was spot a small yellow tag in the Atlantic – needle in a haystack – when dealing with 5 m waves. Sadly we weren’t successful on this front, but we did collect other cetacean data. We wish Rui luck in finding it! Over the last few days, the team have worked their socks off, scouring much of the ocean south of Faial and Pico, up to 25-30 km offshore. The reward has been nine cetacean encounters, totalling over 125 individuals, not forgetting several loggerhead turtles. And let’s not forget our couple of expedition firsts – orcas and a singing humpback – more than data, they are truly moments to remember. Just reward for such a great group who have personified teamwork – you have been a joy to work with, thank you. But as we say a sad farewell to group 1, we are excited to meet and welcome group 2. There is still much to discover, as we reach the halfway point of this year’s expedition. After the excitement of the orca encounter on our first day in the field, we were brought back down to earth the very next day… by the weather! High winds and worse sea states meant data processing was the only productive option. So the team spent the morning with sorting and /or matching image files to enable identification and matching of several species, including sei and sperm whales; Risso’s dolphins and of course the orcas. Many of the orcas could not be matched with other individuals recently seen around the central island group of the Azores, suggesting there are more out there to be found. After an afternoon break, we were back out to sea the next day in slightly calmer seas. This began with common dolphin sightings, and four encounters later this was the only species we had seen all day, whilst navigating a loop south of Pico and Faial. Eager for a change of fortunes, we set sail again on Wednesday. Luck was not entirely on our side. The dolphins appeared to be avoiding us, so we deployed the hydrophone to ‘listen in’ on dolphins and sperm whales but with no joy. But what we did hear – surprised all on board, including a scientist, Lisa – a singing humpback! Whilst the males are known to sing, often when in search of females, Lisa has never heard this behaviour in 30 years of working in the Azores. Another first for Biosphere Expeditions in the Azores. Fieldwork is about sights and sounds. After several hours of searching, and with 110 km covered, we could not locate the humpback and finally had to give up on our singing cetacean. You don’t always get the result you want, but if your survey ends with ‘presence’ or ‘absence’, your data is zeros rather than ones, it is still a result. Our multi-national team all arrived safely, via a mix of routes and modes of transport. Some were hot off the plane and plunged straight into initial introductions, risks assessments and briefings. Not forgetting a whistle stop tour of Horta to get some bearings. Saturday saw us dive into scientific training, with familiarisation of equipment, which was followed by data records training, and eventually rounded off with a boat orientation. Unfortunately the weather was against us, so we could not complete our first field trip as planned….that would have to wait. Patience is vital with fieldwork. Sunday saw us head out to sea. With winds blowing from the northeast, the conditions were best described as challenging. As we headed south of Pico, we eventually encountered some loggerhead turtles and a small group of common dolphins (great spots Stefi and Shantala), but encounters were hard to find. The hydrophone was deployed in a quest to find sperm whales, but the conditions were just too extreme to follow them. With the sea state quickly reaching force 5 (the limit that we can effectively work in, and most people can stomach), we turned around and headed back towards the protection of Pico. An inspired (if not lucky decision), for it was just off the coast (close to Lajes) that we had our first ‘whale’ encounter……with orcas! They had been seen in the area as few days before the group arrived, but normally move on. 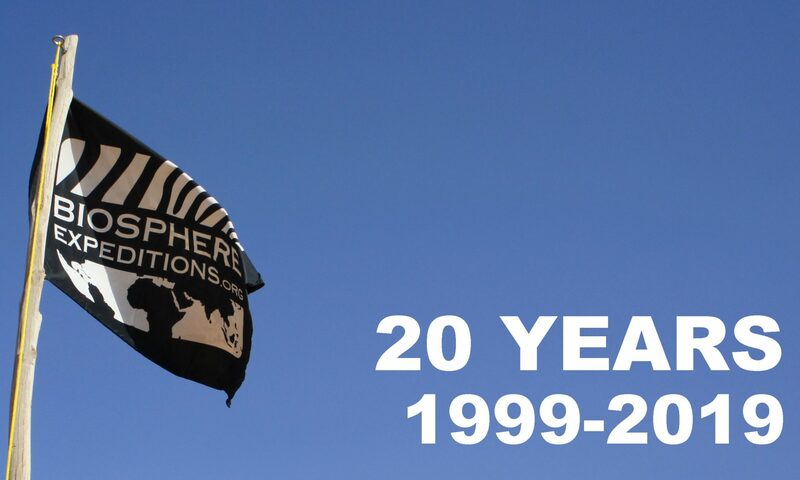 This is the first time they have ever been recorded by a Biosphere Expedition group. Great data and a wonderful encounter! Our day was not done as we also found a group of Risso’s dolphins, with several young, as we began to cross the ‘choppy’ channel back to Horta. A quick baptism of cetacean research for some. Field work will often push your limits, give you moments of luck, and reward your loyalty to your task. One of our citizen scientists, Neil, is a veteran of nine (!) Biosphere Expeditions and a previous participant on the Azores. Yesterday was very much payback for his commitment, in the shape of six beautiful orcas; and it was only our first day at sea.